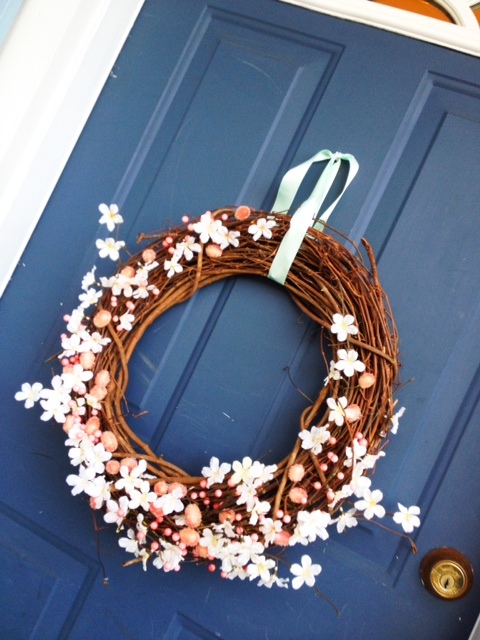 Last weekend I whipped up this simple wreath! I didn’t want to be too Easter-y so that it could last all through spring. So I attempted a fresh outdoorsy simple look! 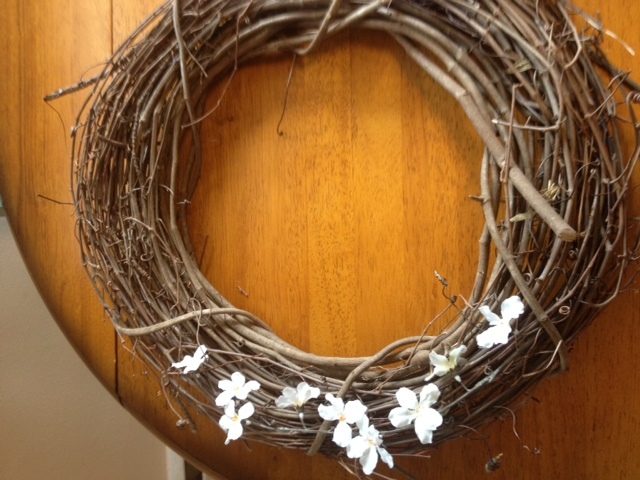 *twig wreath- I got mine @ my local craft store. Less than $5. 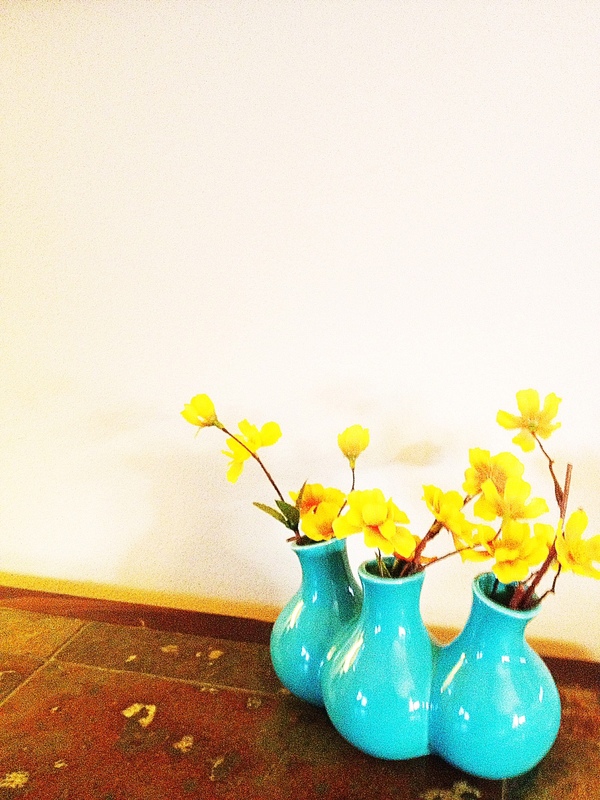 *White flowers- I bought 2 long stems. They were 40% off. Although they are really long and have a lot of branches it’s better to buy the long ones. 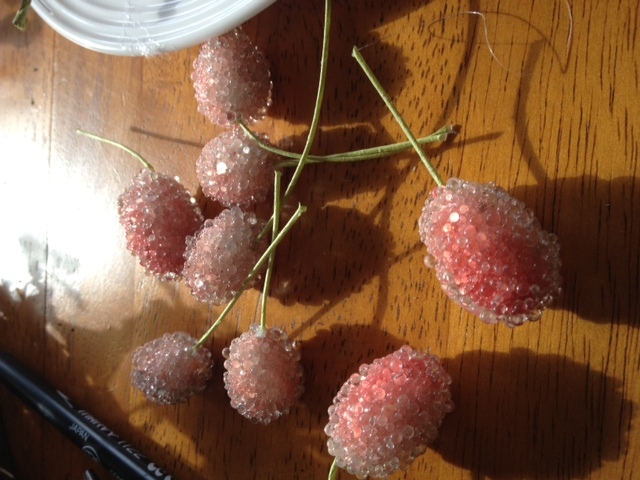 *pink beads- I purchased a long strand of pink garland and again cut it into pieces. These might be found in the floral section. 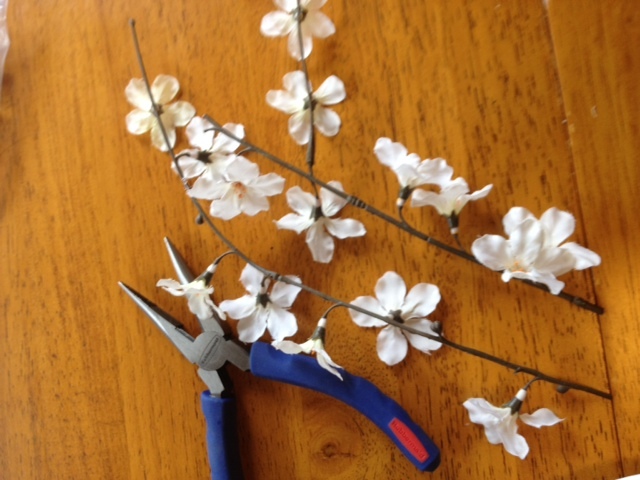 Step 1: Cut the white floral strands into smaller parts. There is wire underneath the plastic, so wire cutters work best. Cut into about 6-9 inch pieces. Depending on your preference. Step 2: Weave the flower strands through the twigs. You may need to apply small dots of hot glue to certain areas. Remember since there they are made of wire they bend easily. I arranged the flowers with a heavier concentration at the bottom. And slightly more to the left. Of course you can do an all-over look or concentrate the flowers in different ways. Step 3: Cut apart beads using wire cutters. Because the stems were a bright green color I actually painstakingly used a brown marker to color them darker. Begin to apply these using a glue gun. They are fairly heavy, so sticking the wire ends into the wreath is not enough to hold them down. I concentrated them toward the bottom of the wreath. 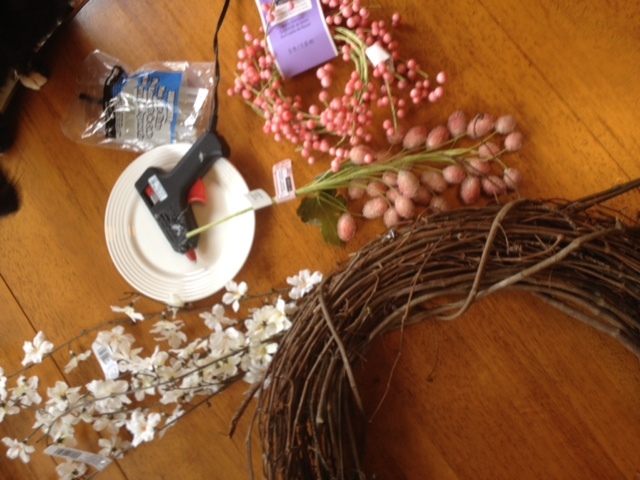 Step 4: Cut apart pink bead garland using wire cutters. Again, it’s not necessary, but I colored the green garland brown so it blended better. 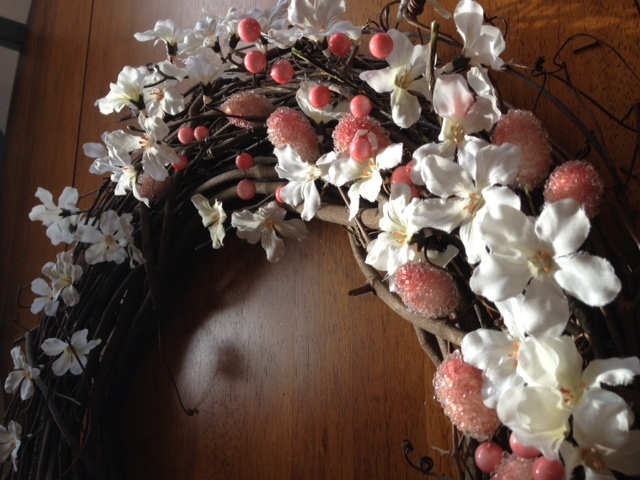 Attach small pink garland pieces in the same fashion as the larger beads- either weaving the wire through the wreath or using the glue gun. Step 5: I put a piece of sea-foam green ribbon at the top so I could hang it from my door. But I’m considering using a different color- maybe white? And there you have it! Happy Spring! Pink garland - Lenox Salt Shaker Bunnies - potted mini daffodils - baby chick decoration - fake yellow flower things? . 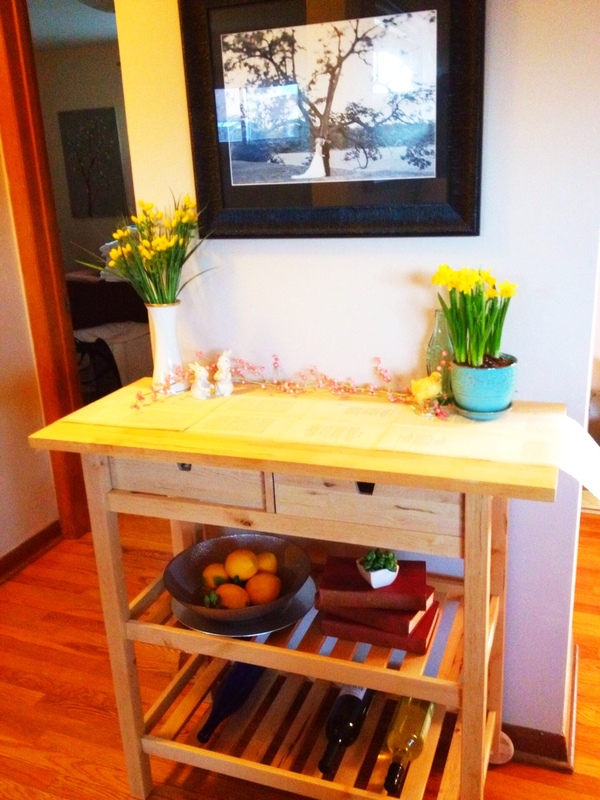 Want to make the the antique book table runner? Here’s How! Three pots in one! Got this find @ Michaels for a few bucks. *I put in some lace from my mom’s wedding dress that I had around my bouquet. *My bustle broke on my dress and popped some of the buttons off! I put one of the buttons in. 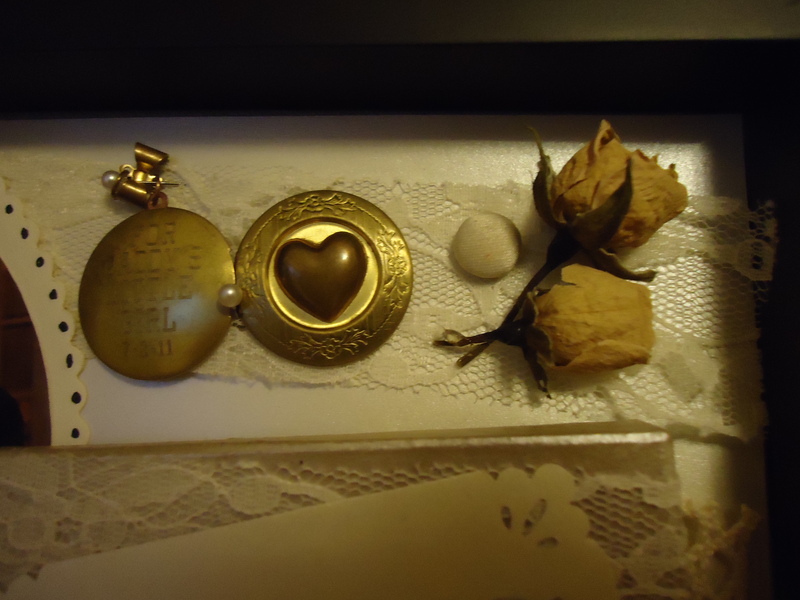 *I included a few small dried roses from my bouquet and the sixpence I had in my shoe! 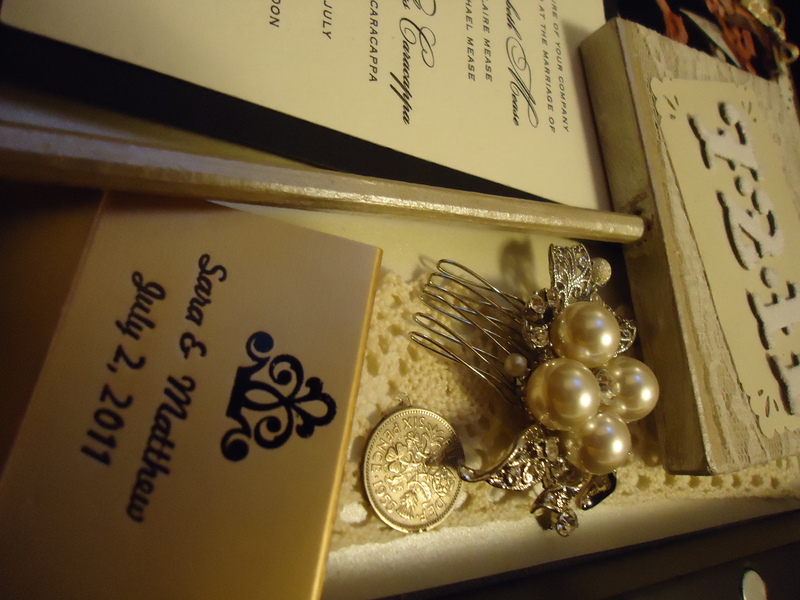 I also glued in a matchbook from the reception. *The 7.2.11 sign was something I made for the wedding day. I made the sign using a plain brown sign from PaperSource (I think it was a dollar!) I painted it champagne, and wrapped lace around it. The white numbers are scrapbooking stickers. *I bought the shadow box from my local craft store. It’s not very big, maybe the size of a regular piece of paper and about 2 inches deep. *The background was a grey fabric, which didn’t match my color scheme. So I took some ivory card stock measured and fitted it to the box. *I used floral pins (with the little fake pearls on the end) to attach the locket, and hair pin. 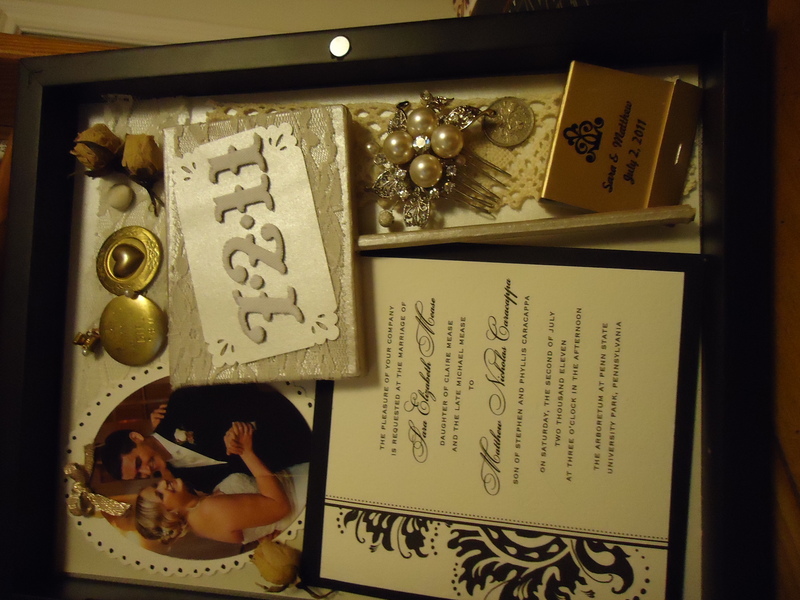 *Some things I hot glue gunned down (like the matchbook and the 7.2.11 sign), others like the picture/invitation I just used scrapbook tape.